If you are like most people, you really hate and despise (not to mention fear) spiders. It almost seems as if it’s a part of our genes to be afraid of these (most times) tiny little creatures that seem to inhabit every little corner of our homes. The truth be told, spiders are terribly beneficial and we shouldn’t kill them simply because…..well, because we have issues. Why should we bring out that rolled up newspaper and kill something that does so much good, when we can simply find ways to convince them to stay outside where they belong? There are plenty of all natural ways to keep spiders out and keep us from screaming every time we move a piece of furniture. 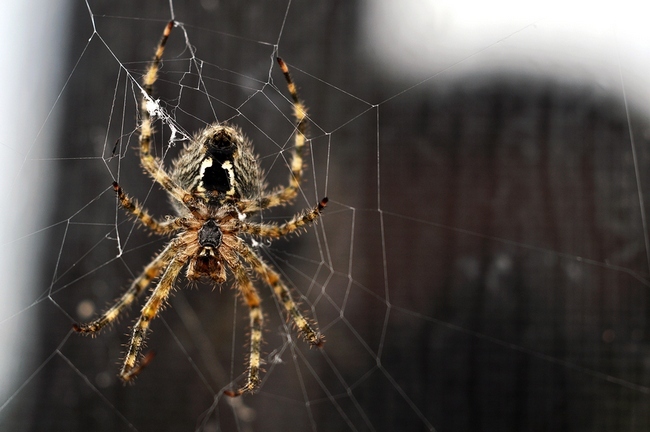 Take a look at the top 10 ways you can keep spiders out of your home and save those newspapers for the recycling bin. Believe it or not, spiders are very sensitive to smell. They smell with all of their little feet (and they have 8 of them!) and there are some smells that they simply can’t stand, so they don’t want to hang around. Lemons are one of these. Don’t use the juice as this will attract ants, but rub the inside of the lemon peels around doorways, windowsills, and baseboards, anywhere you find spiders or places where you think spiders might be gaining entry to your home. Now you need to do this about every two weeks to keep them out but this is one remedy that works like a charm. SEE ALSO: DIY Insect Traps: No Chemicals, No More Bugs, No Diseases! As you probably already know, plain white vinegar has about a gazillion uses around the house and this is one of them. Fill a spray bottle with about a 50/50 mixture of water and vinegar and spray everywhere you find spiders or place where you think they might be using as their own private entrances into your home. Find out other surprising uses of vinegar. This is another scent that spiders dislike. To us, peppermint smells like sweet candy, to spiders, well, they don’t eat candy so who knows what they think it smells like, but the truth is they don’t like peppermint. Mix about 15 drops of peppermint essential oil mixed with about two cups of water in a spray bottle and spray away! Not only will this keep spiders away, but your house will smell fresh and clean!